SEO (search engine optimization) is the practice of optimizing and promoting a website in order to increase its targeted traffic from search engines like Google, Yahoo, and Bing. Those 3 major search engines drive more than 90% of web traffic. If your website cannot be found by them, you are missing a huge opportunity to reach a wider audience and get more targeted visitors. Although SEO can be complex and need an in-depth comprehension of search engines algorithms updates like Google panda and Google penguin, you can still achieve a good ranking by implementing simple SEO tips. There are plenty free resources online and we here at webhostingratings are happy to share useful website and SEO tips you can easily implement even with little knowledge. If you want to increase your targeted traffic and be successful with your website, follow those 5 sure-fire SEO tips. Choosing the right keywords is one of the most important SEO tips. If you don’t choose them wisely according to what your target is actually looking for, all your SEO efforts will be vain. Think of what terms your target use to find your products or services, also think of problems they could be facing that your products or services can solve. Make a list of these terms and use keywords tools like Google keywords to determine the keywords you have the biggest chances to rank high for. Write useful and unique content for your readers. Include your keywords in your content at low density. More than 2 keywords in a 100 words paragraph makes your content muddled and over-optimized, which can lead to search engines penalizing your website. If you are lacking inspiration, content curation is a great way to find different and relevant contents about your topic and merge them to create something new and original. Never forget to credit the original sources. A simple and easy to navigate website structure will help search engine robots index your pages faster and rank them higher. The best way to create an easy and clean structure for your small business website is to use a search engines and user friendly CMS like WordPress. 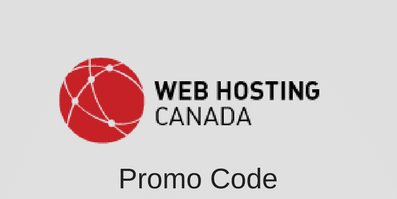 Most web hosting providers allow you to install WordPress easily on your server. Pages titles are very important, as they give search engines informations about the topic of the content. Make sure to include your primary keywords in your pages titles. Your primary keywords are the ones you want to rank high for. Within your content, use <h1>, <h2>, <h3> tags for subtitles and make your keywords bold. All those tricks are aimed to highlight your keywords so that search engines know exactly what your content is about and rank it high in their results. Social media can generate a huge traffic to your website. You don’t need to create a profile on every single social media website out there, focus on the most popular and useful for your business like Facebook, Twitter, Linkedin and Pinterest if you have nice pictures to share. Share your content on your social media profiles and encourage your visitors to engage and share your content as well with social media buttons in your webpages. The world of SEO sometimes looks like a constantly moving and confusing jungle. Nevertheless, you don’t need to be an expert to climb your way up to the top of search engine results. SEO is more about common sense and consistency. You can start to implement those 5 simple yet powerful SEO tips right now. Check out our guides and articles to improve your online visibility, increase your conversion and have your slice of the huge internet market pie! This entry was posted in Articles on November 6, 2012 by Renée Gonthier. Renée Gonthier is a freelance SEO Consultant, translator and copywriter. She writes blog posts, how to ebooks and runs webinars about SEO and web content creation. On WHR, Renée shares tips and guides related to website optimization and promotion for webmasters and website owners. Renée lives in Rodez, in the South of France.